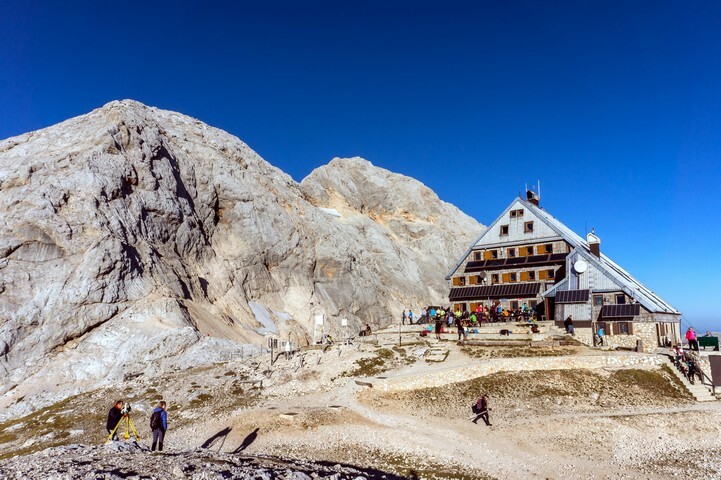 The Julian Alps in Slovenia should be on your radar for your next adventure holiday. Though not well-known, Slovenia and the Julian Alps are fast becoming a paradise for outdoor adventure. Including the beautiful Triglav National Park, this beautiful region never fails to wow tourists. 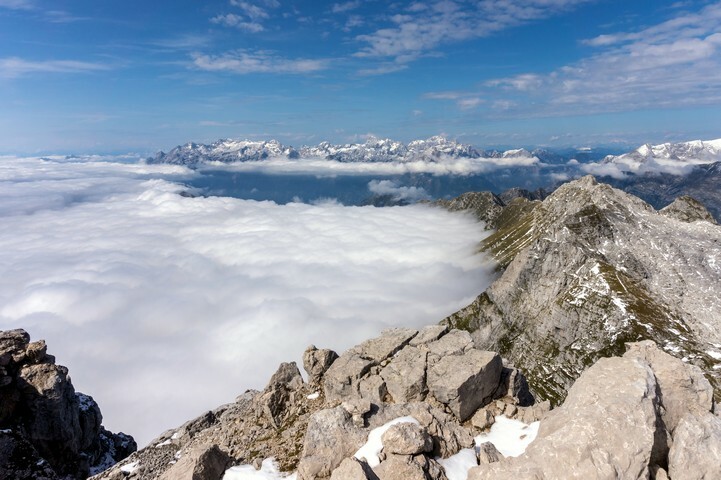 Book a trip to the Julian Alps today! We were so blown away by the beauty of the Julian Alps combined with the friendly people of Slovenia. It’s also a great value compared to the rest of the Alps, with good prices for food, accommodation and guided holidays. The Julian Alps were named after Julius Caesar. This section of the Alps boasts Mount Triglav as its highest point at 2,864m (9,396 ft.). Mount Triglav is an important symbol in Slovenia. Its three peaks are depicted on the nation’s coat of arms. 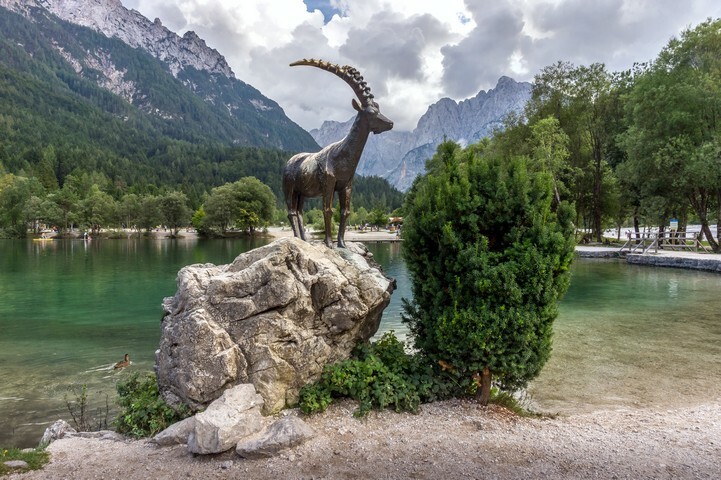 In this trip-planning guide to the Julian Alps we will discuss the four main sections of the Julian Alps. It happens that they sit almost perfectly onto the points of a compass. In the north there is Kranjska Gora – a popular alpine resort. To the east you’ll find the Bled Lake region, and although a lot of our hikes are on the eastern side of the park, Bled lake itself is a bit of a drive to some of our hikes. The town of Bled is very picturesque and the surrounding area is beautiful. To the south you’ll find Bohinj Lake, as well as the majority of our hikes. On the western point there is the Soča valley. The main airport of the region is the Ljubljana Airport (LJU). From LJU you can easily get a bus into Ljubljana proper, and from Ljubljana you can get connections, trains and buses to lots of regions in Slovenia. LJU gets traffic from Adria Airways, Air France, Air Serbia, EasyJet, Wizz air, Montenegro Airlines, and Turkish Airlines. 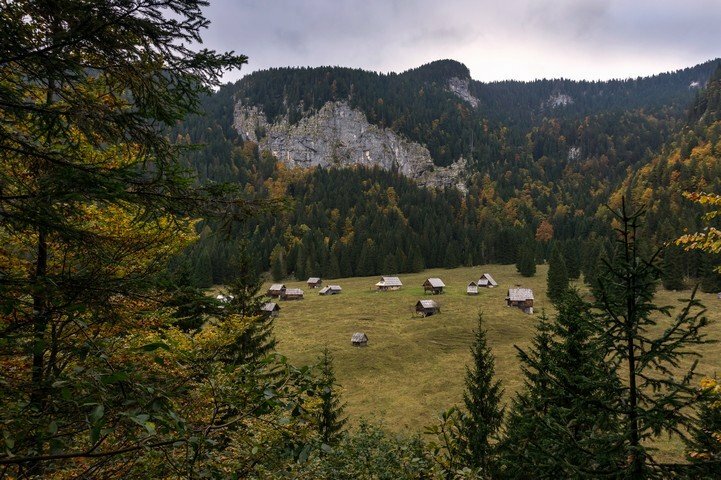 You can hike comfortably between the months of May and early-October in the Julian Alps. Often if the snows come late you can hike well into November, though each year is different. Bled Lake and Bohinj Lake both get quite busy in July and August (but that seems to be the case no matter where you go). Bled Lake also sees an uptick on most weekends between May and September. If you’re looking for a snow holiday, then the months of December through to March are your best bet. The ski resorts in Slovenia are nice, but not as expansive as those in other parts of the Alps. If you do want to stay in Bled Lake, consider that in July there is both the “Festival Bled” and “Bled Days” taking place in that month. Both festivals bring markets, festivities and live music to the region, and are a heck of a lot of fun. If you want to stay in the Lake Bohinj region you can visit in mid-September for The Cow’s Ball (a celebration of the cows coming down from their high pastures) where you’ll find folk dances, eating and drinking (especially wine and cheese). 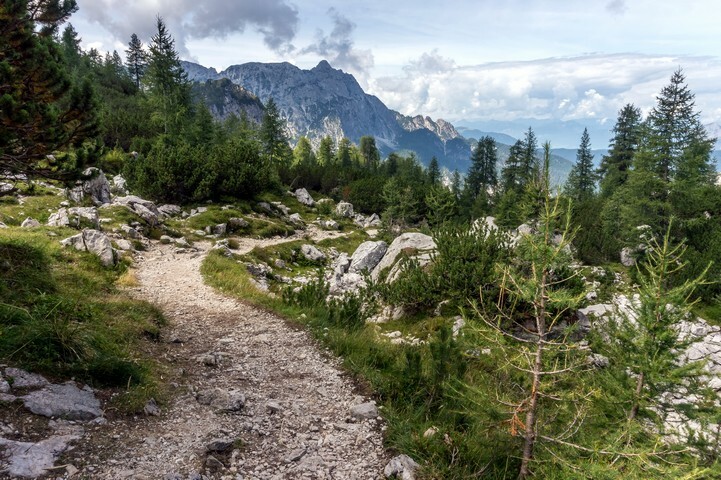 You can also enjoy the month-long Hiking Celebration in Lake Bohinj usually starting sometime in September, or the two-week long International Wildflower Festival starting in late May. Given the distance between the hikes we recommend renting a car. Of course, if you’re heading to Slovenia only to ski then check with your hotel about shuttle services. The road system through Slovenia is very good and lots of buses to make there way from city to city, but we found that we really preferred the freedom that a rental car gave us. As we mentioned, there are four sections of the Julian Alps. In this section we’re going to break down different lodging styles for each of the regions. To recap our notes above, we like the Kranjska Gora region in the winter because of its great ski hill. Kranjska Gora is in the north. Lake Bled, in the east, and Lake Bohinj, in the south are both very popular tourist spots. The Lake Bohinj region is probably our favourite because it’s where we found most of the best hikes. In the west is the Soča valley region. It’s less busy than the previous two regions but there are lots of adventure activities there. We begin in the Soča valley region. Our premier place to stay is the Nebesa Chalets. They have a great continental breakfast, a sauna, free bike rentals, massages, and huge, beautiful windows in the chalets that look out into the valley. We could not recommend these places more. Perhaps the only downside is that they are in the country, so it’s best to have your own car if you are staying here. A stay at a “Tourist Farm” is a unique way to see the Soča valley region. A tourist farm is just another name for a charming B&B with horses. The Pri Flandru farm had a few charming rooms, and a few beautiful horses that guests can take out for a ride. It’s a great mid-range option. If you’re looking for a Hostel check out Hotel Soča on the Soča river. The hostel is associated with the Aktivni Planet group, which has rafting, zip lining, climbing and more. It’s a really fun way to save money while still going on some awesome adventures. Check out the Lazar Campsite if you want to save even more money. Lazar also has some rooms to rent as well, but it’s a well-located campsite. In Kranjska Gora we have two luxury hotel recommendations and we can never decide which we prefer. Hotel Lipa has eleven different rooms, each more luxurious than the next. We appreciate its modern styling steeped in the history of this area. Hotel Kotnik is perhaps a little less modern, but we really love its restaurant and pizzeria. They also have a good skiing package. We will leave the ultimate decision up to you. Next, we couldn’t ignore Tonka’s Hut. This charming hut has dorm style accommodations as well as single rooms; however, the thing we love the most is its location near the Path of the Pagan Girl hike. It’s a fun combo. 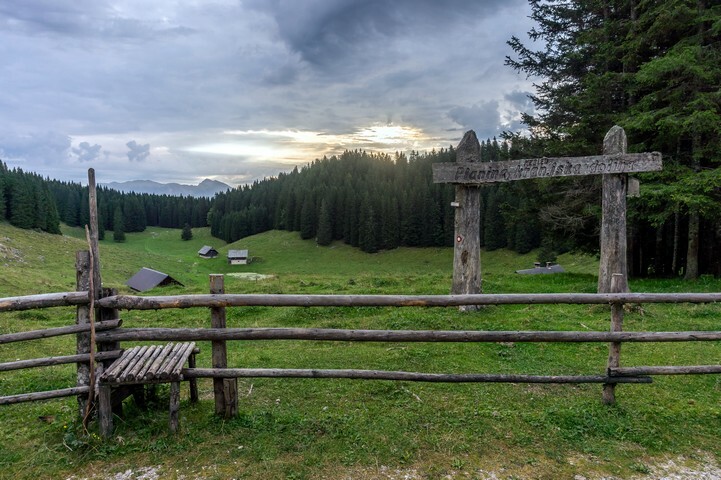 If you or someone in your party wants to camp in Kranjska Gora, try either Natura Eco Camp or Camping Kamne. They both have campsites as well as either apartments, trailers, or apartments to rent as well. It’s great getting out into the fresh air in this beautiful region. Bled Lake is a phenomenal part of the Julian Alps, and there are a lot of awesome hotels in the area. If you want to camp it too will be fancier than normal. Camping Bled is a great campground but it certainly isn’t rural. They do have lots of cool glamping option as well. The decadence doesn’t stop there either. 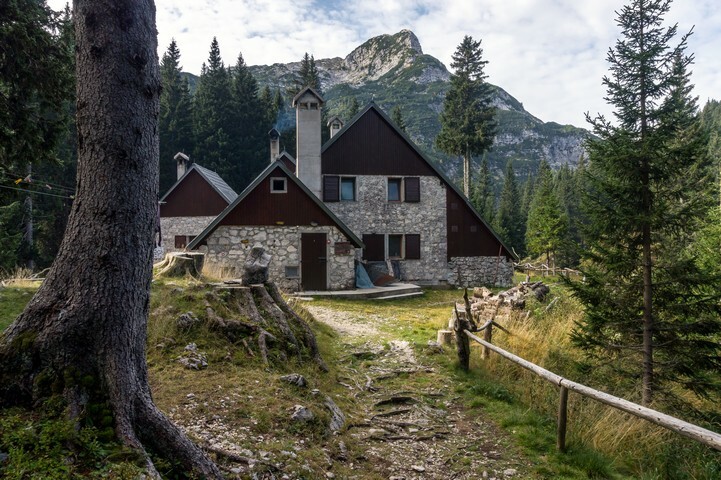 The Ledrar Apartments are great if you’re looking for modern accommodations with a kitchenette and a fantastic location, just minutes away from Lake Bled. The Mulej Farm is a great option if you want the kind of place that can provide you with breakfast and you also have access to horseback riding, with an extra fee of course. If you want a bed and breakfast without the farm surrounding it then try Garmi Hotel Berc.  It’s nicer than the farm – the Berc has three stars – but we understand that the appeal of horses can influence a decision. So, we leave the choice up to you. And finally, if you decide to stay at Bohinj Lake you’ll be treated to much of the same beauty that you can find in Bled Lake. We love Bohinj Lake because it gets us closer to our hikes. The Resje Bed and Breakfast is a great Bohinj Lake option. They have 14 rooms and are capable of housing 40 people. The rooms are a little dated, but we really liked the food there. Pr’Pristavc Hostel in Lake Bohinj has to be one of the nicest hostels out there. You can also rent a single room if you’re so inclined. Make sure to check out their pizzeria while you’re there too. Check out Camp Bohinj for camping or their affiliated hotel. You’ll be right on the water and surrounded by beautiful evergreens. Of the camping we’ve mentioned so far, this is the probably the most serene and authentic. With all the great accommodations we mentioned, most of them serve up great authentic meals, or at least great pizza. In the Soča valley region we recommend checking out Ana’s Kitchen at Hisa Franko. They have a deep wine cellar and bright fresh meals. Restaurant Breza is a great place if you’re eager to try traditional Slovenian meals. You’ll find lots of game meats, seafood, and a variety of stews. It’s located in the town of Kobarid. Like Hisa Franko, Kotlar Restaurant is an upper scale place; however, we think Kotlar really excels with its seafood dishes. This place is a must for anyone who enjoys seafood. Around Kranjska Gora we recommend the pizzeria at the Hotel Kotnik (mentioned above). The restaurant in the hotel is good too, but the Pizzeria Pino is top notch. You should also check out Tonka’s Hut if you’re in the area. This charming little hut can whip up some great eats to keep you adventuring all day. For fine dining in Kranjska Gora check out Milka restaurant. They do Slovenian fusion cuisine. It’s got a very classic, regal dining room, but the dinners are all “nouveau”. And, if you need a little dessert or a pastry in the morning check out Slascicarna Kala. The portions are generous and buttery. It’s a cute little café. The best dining experience in Bled is in Bled Castle. The food is of course remarkable. It’s fine dining versions of Slovenian cuisine and the location is even better. Eating inside of a castle is very luxurious. You’ll be high above the buildings and the views will really add to the experience. Ostarija Peglezn is a nice mid range option is Bled. They serve traditional meals in a simple setting. The menu is seasonal and features lots of seafood typically. Our two quick bites in Bled are the Public Bar and Vegan Kitchen as well as the Pizzeria Rustika. They both are good value options if you want something quick and easy. At the Lake Bohinj our favourite traditional restaurant is Gostilina Rupa. They have a fun, old chalet-style décor with the red and white chequered tablecloths. You can have spit-roast pork if you visit on the 1st of May, 15th August, or December 26 (you can also pre-order it). Their big, wood-burning oven is something special. The Strudl Bohinj Inn is another good traditional, Slovenian restaurant, but we like Gostilina Rupa just a little bit better. For a restaurant that pays more attention to plating, try the Restaurant Resje. The menu is smaller, and it changes with the seasons. If you have the time, check out the Restaurant Resje. The Pr’Pristavc Hostel we mentioned has a great pizza place. You’ll find another large wood-burning oven here, and a friendly atmosphere. 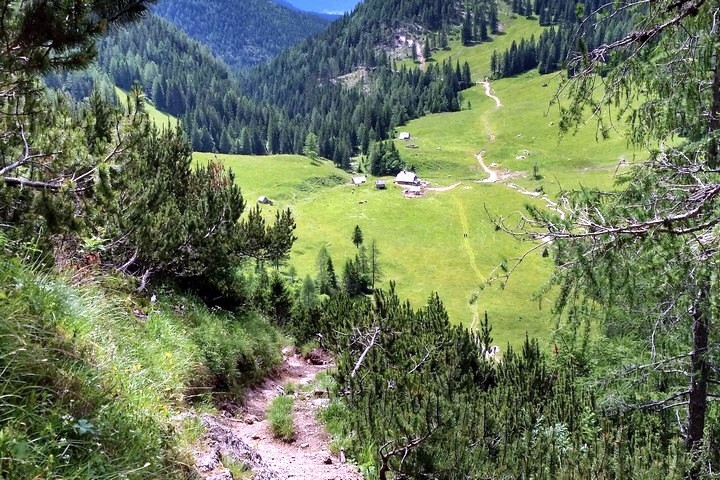 WHAT ELSE CAN YOU DO BESIDES HIKING IN The Julian Alps? Slovenia is all about adventure. 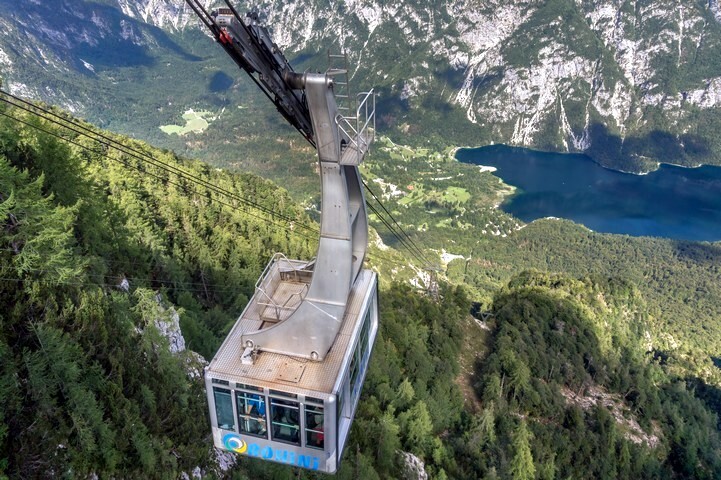 If you’re planning a trip to the Julian Alps, you better be expecting to experience nature in its most extreme. In the beautiful Soča valley region the rivers and rapids are legendary for their white water. We loved the guides with XPoint Outdoor Experience, plus they offer more than just rafting. They’re located in Kobarid. If you’re more north of Kobarid then check out Bovec Sport Center. They too have much more than just rafting. There’s kayaking, canyoning, an adventure park and more. If you want to try some awesome mountain bike trails check out Emotion Sports in the Soča valley. They rent bikes and e-bikes too. They’ll also shuttle your bikes out to the trails too. If you have a larger group, consider getting in touch with the people from Maya Team Building. They have lots of neat activities for larger groups. The last thing we’ll recommend in the Soča valley is Slocally. Slocally is a network of Slovenian locals that will do various tours with you. You can do wine tours, food tours, and more. It’s a great program and everyone is always so nice. In Kranjska Gora there’s of course great skiing. If you’re new to skiing check out Skischool.si to book a lesson. 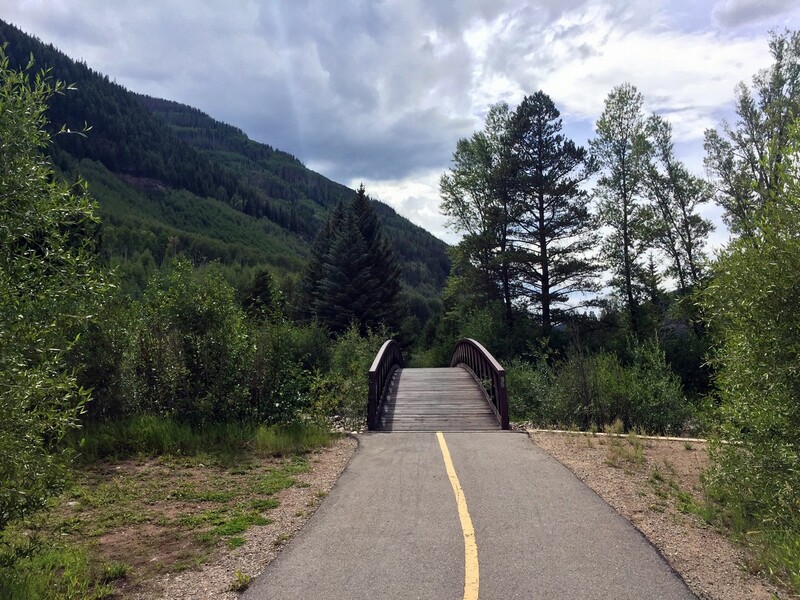 If you’re already experienced, head to Plancia Nordic Center. That’s one of our favourite hills in the region. Past that we liked the folks at Kolfler Sport if you were looking to do more ice climbing, and ski touring. They also have van and shuttle services that might make your adventures easier. Check out Koala Sport if you’re in Bled Lake and you need some gear before you head out on your adventure. They carry lots of good outdoor gear. Once your outfitted, you can get in touch with either the folks at 3glav, or TinaRaft. Both companies offer rafting and canyoning. 3glav offers ballooning as well, while TinaRaft has paintball, and the Zorb ball. The kids will love Pustolovski Park in Bled. This adventure park has five different tracks to try each harder than the next! In the Bohinj Lake region the adventures never stop. With AlpinSport you can find gear and guides to help you downhill ski, cross-country ski, go canyoning and paragliding. They let you rent bikes, kayaks, and canoes. Plus, you can hop in a small airplane and get a one-hour tour of the region (this is a really unique way to see the region if you’re not up for paragliding). Alpe Bohinj is great for climbing instruction in the summer and ski school in the winter. Keep them in mind if you’re looking to pick up a new skill. Thunderstorms are very common in the summer. 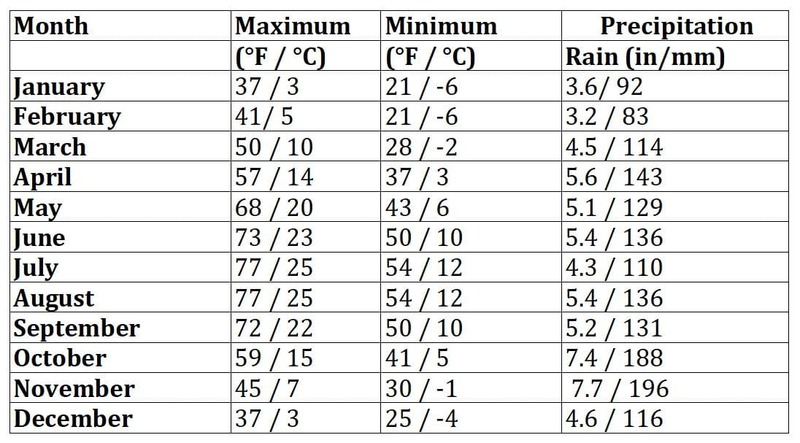 Always check the weather before you go out, and if you hear thunder get down from points of elevation. Wright your name in the registries of the mountain huts to log your journey and help you get rescued in a search and rescue scenario. Slovenians are kind people, and you’ll enjoy the hearty hospitality of the Slovenian people. However, theft can be an issue. Be careful of your belongings including any bikes or gear you might rent. Triglav Mountain is a very important symbol for people in Slovenia. All the Slovenian climbers and hard-core hikers insist that you have truly become a Slovenian once you climb to the top of the Triglav.